You never get a second chance to make a first impression. Look your best with a professionally designed PowerPoint or Keynote presentation. Create a request. Describe what you need and upload your current presentation. 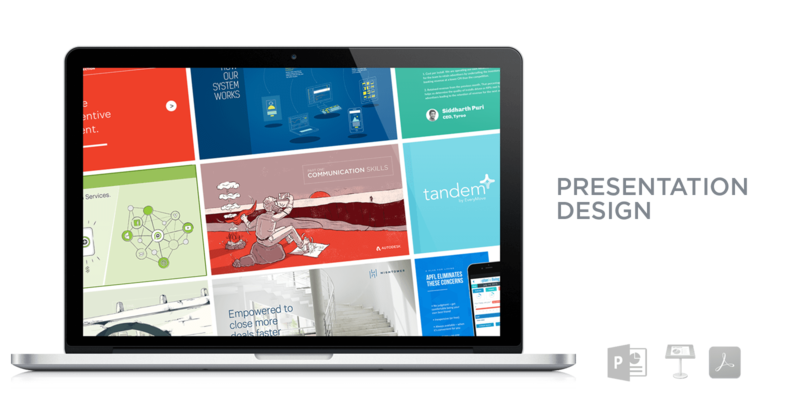 Collaborate with your designer and account manager until the deck is perfect. Any type of presentation: sales, capabilities, investor pitch, conference, reports. Optional master slides/themes to be the building blocks for future use. Keynote, PowerPoint, InDesign or PDF. Presentations are all about visual communication; our experienced designers will make your message pop. 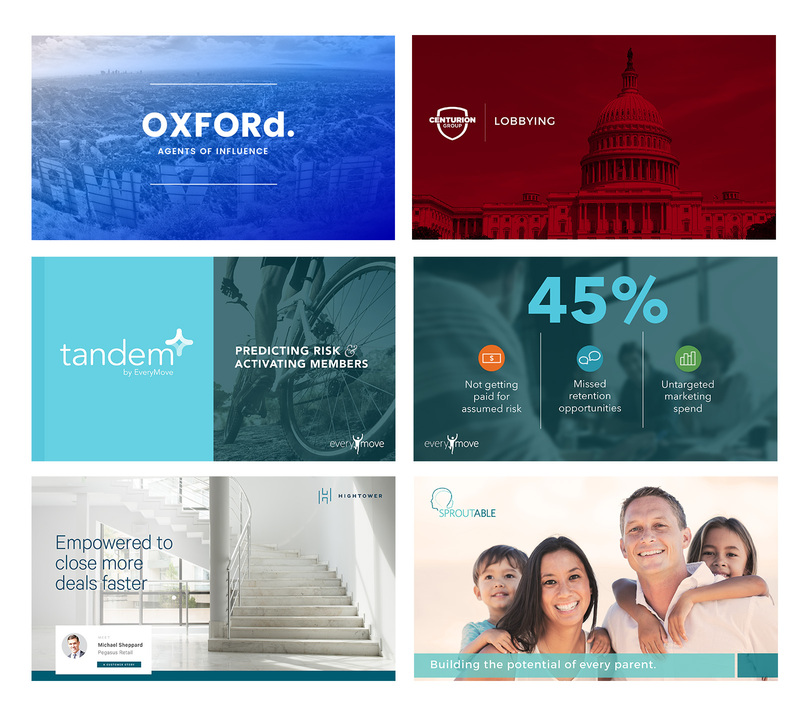 We’ve designed hundreds of decks and thousands of slides for companies large and small. Distill complex ideas to their essence with custom illustration and icons. 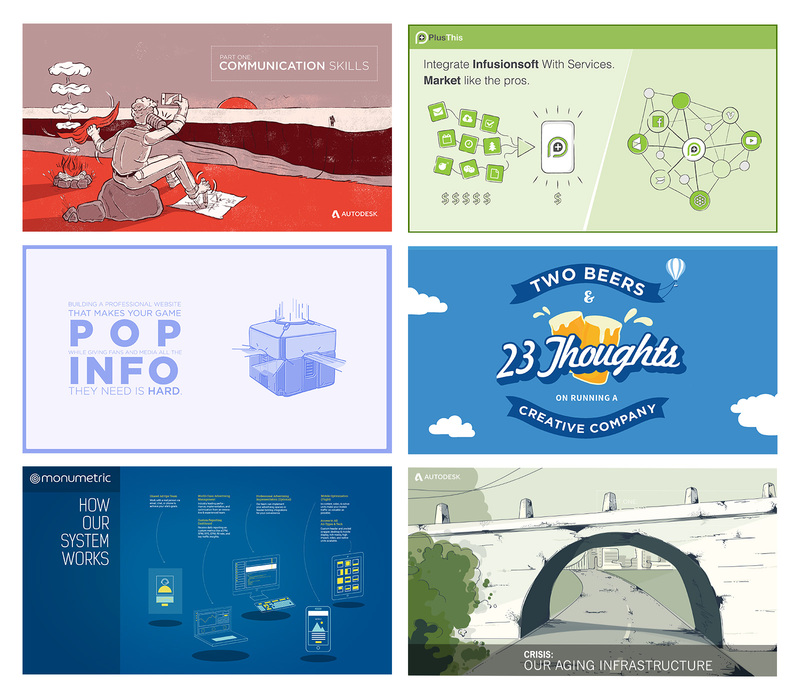 We can illustrate your solution, process flow, or core concepts with custom illustration from our team. We can add them to your presentation, and repurpose them in many other materials. A picture says a thousand words. Give your presentation polish with professional stock photography. Will I be able to edit my presentation? Yes. 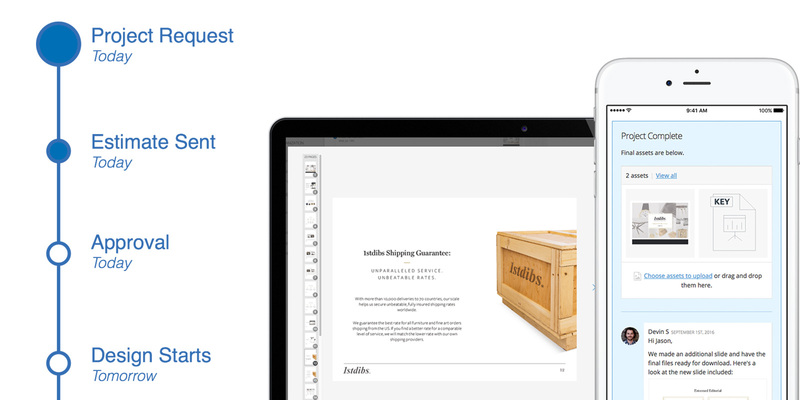 We work in either PowerPoint, Keynote, or InDesign, and deliver the editable files at the end of the project. We start a designer within one business day, and typically have the first review 2-3 business days after a designer starts. Don't sweat it! Our account managers will work with you to get what you need, in the timeline you need. I don’t have a deck. No problem. 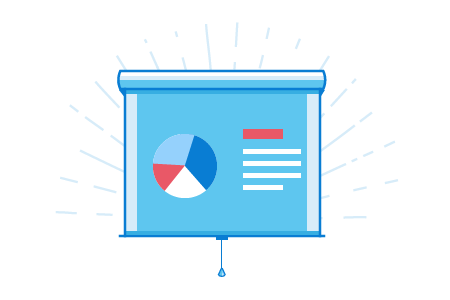 We can work from a text-only PowerPoint or even a text document. We just need to know roughly what will go on each page to produce an estimate, and can work with you to finalize the text. My current deck is terrible and I’m too embarrassed to send it to you. Don't worry! We can help. Send us what you have and tell us what you want. We’ll get you there. Who will be my designer? Our designers are 100% U.S. based, and are thoroughly vetted. 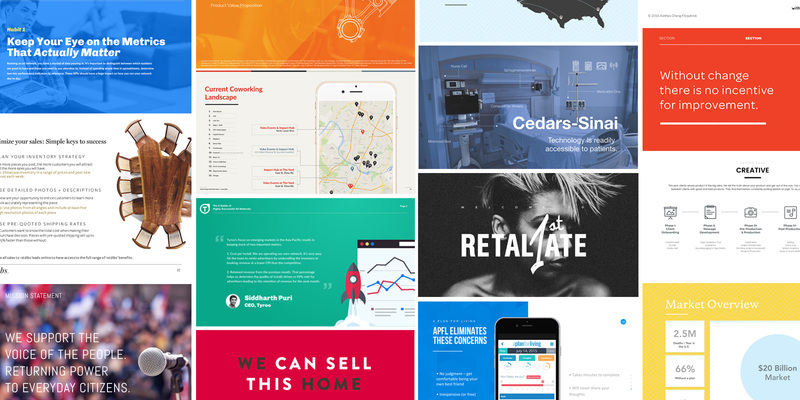 We’ve received thousands of applications for our designer spots, and accept less than 3% of them into our system. We’ve completed thousands of projects for hundreds of customers. We’ve worked for companies large and small, and every one of our customers has the dedicated attention of an account manager to make sure every project runs smoothly.